If you’re moving and living in Canada, where is it better to locate – Edmonton or Toronto? This two Canadian cities are probably the only places in Canada that I will be able to provide some accurate information on because it will be the only locations we will call home in Canada. Not that we don’t want to live in other Canadian towns or cities but we already have planted roots and have established businesses in those two. It would be very difficult for us to plan another move because there’s too much to lose now. Anyway, in the interest of writing about life like a local in Canada, for those who are planning on moving in this vast country – for this post, I will try to differentiate living in Edmonton against living in Toronto. It will be a general differentiation but I hope to at least give readers a good picture about those two cities. Let’s talk about availability of jobs, the most important factor in choosing where best to live. Generally, like I said in my previous post, if you’re not picky there are available jobs anywhere in Canada you choose to live. Specially at this time when the population of Canada isn’t growing fast enough to maintain the momentum of the country’s economy plus the fact that oil exploration out West of the country is in full swing, there are jobs available in the major cities or even small towns like Red Deer. In Edmonton, since the time I landed there in 96, jobs are always available. If you are not lazy, are resourceful and are always ready to take on any kind of work while waiting for the right opportunity, you will not experience being jobless. I’m not saying this because I was resourceful and lucky to be networked with old timers there – I say it because I have talked and interviewed a lot of newcomers and have not heard them complain about lack of work. On the contrary, many are complaining of working way too many hours! Today, the business leaders of Edmonton and the rest of Western Canada including British Columbia and Saskatchewan are in panic mode because they are forecasting a severe shortage of manpower in the coming years. They are pushing the Federal government to act immediately on creating more flexible immigration programs to let in more workers and immigrants to the Western Provinces. The situation is different in Toronto and some other Eastern Provinces. Although, there are still plenty of work, the pay difference is so great that many citizens of Toronto and other Eastern cities are moving West in great numbers. I was just in Edmonton in May 2012 to renew our business license. The lady who was tasked to look after me was from Toronto and she told me that she moved her whole family 2 years ago to Edmonton because she can provide for the whole family on her salary alone unlike when they were still in Toronto where she and her husband were juggling two jobs. The same story was repeated by one of the acquaintances of my cousin when we talked. He said that because the tax is lower and the pay is better in Edmonton, he is now able to save money and not live on paycheck-to-paycheck anymore unlike when he was still living in Scarborough. Scarborough is one of the former municipalities of the now amalgamated Toronto. This are just two of the so many stories I’ve heard about how much better it is in Alberta. So, when in comes to jobs – hands down living in Edmonton or any of the cities or towns of Alberta is best. Canada is a country built by immigrants. Many people from all parts of the world live, work and study in Canada. That is why it is very common to have friends, acquaintances or even spouses from a different race. One thing I noticed while living in both Edmonton and Toronto is the diversity of the people you come face to face with or talk to. In the bus, at the park, in school and just about everywhere. There is no difference, therefore in racial diversity in both Edmonton and Toronto. What I specially like about Edmonton when it comes to interaction between races, is that – they are really mixed. What I mean is, it is very common for people, specially the young people to be mixed, be friends or hang-out with other people outside of their race. An example was when we went clubbing in Edmonton as a new immigrant. During my first few weeks of going out with a Filipino friend, I was totally amazed when we get to the club finding out that there are already seats waiting for us where we are mixed with people of different races. Mostly whites, but in the group there is also a Pakistani, an El Salvadoran and blacks. I feel awkward at first but when I got to know them after a few more meets, I found that they’re no different from me. Another example are my nieces and nephews. Most of their friends are either white, Indians or blacks. I seldom see them hanging out with other Filipinos except when they are with their cousins. It is different in Toronto. Although I noticed that races are more varied, most usually they hang-out with their own kind. Pakistanis with Pakistanis, Indians with Indians, Filipinos with Filipinos…. you get what I mean. You’ll notice that in clubs, malls, parks, etc. if you’re living in Toronto. The only time probably you will see them different races mixed is in school or work place. Even then, during their free time, you’ll notice them gravitating towards and talking with the same race. So, for me, when it comes to racial interaction – Edmonton is my choice over Toronto. After jobs, I consider living in an area close to places of convenience a secondary requirement when seeking for where to locate. In my previous post about living in Canada, I have partially discussed the basic requirements I listed which I try to carry out. As I became more acquainted in the city I chose to live in, those basic essentials list grows. For example, when I experienced living at Flemingdon Park in Toronto where we first experienced amenity abundant community living, I have added being close to community centers, parks, hospitals, 24 hour bus routes, proximity to subway line, etc. to my list. If you choose to live in Toronto, this is possible. There are so many communities in the city that are seemed to be designed to be convenient for their residents’ needs. The former municipality of East York is an example. The area is close to subway lines, has many 24 hour bus routes, a general hospital, plenty of parks and playgrounds, community centers all over, groceries, etc. This is just one municipality. There are many more like this in Toronto. Not so in Edmonton. Even if you live downtown or close to the University of Alberta area, the presence of those conveniences enumerated above being so close to each is hardly present. There are no parks like the ones you will find in Toronto and you will really need a car to get around specially if you are coming home late. Therefore, for convenient apartment communities where a resident have access to most amenities, Toronto has much, much more to offer. Aaah, this part of comparison between Edmonton and Toronto is a no-contest. If transportation convenience is the subject, I think Toronto has the most extensive transport system in the whole of Canada. Newcomers, specially, do not have access to a car yet – some even after years of living in Canada. If you are living in Toronto, this would not pose a problem. You can get around the whole city using Toronto public transit system 24 hours, if you choose. The subway system of Toronto is stretched North to South and East to West of the city not like Edmonton’s which services just a small part North/South of the city. 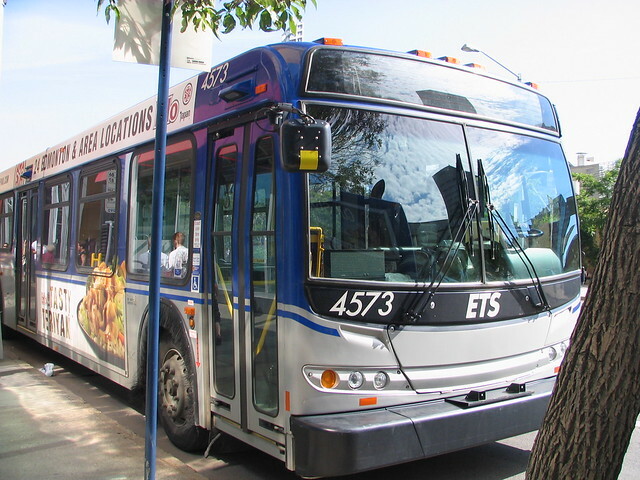 Edmonton, too, have no 24 hour bus service unlike Toronto which has the Blue Night Service – 24 hour bus routes around the city. So, even though you miss the last trip of the subway system, the Blue Night route is savior in getting home. Just make sure to know where and what bus numbers to take, specially in the winter season. This is another topic where living in Toronto trumps living in Edmonton. In the summer months, both cities offer a lot of festival celebrations that can have a resident occupied and entertained. Although there are more festivities in Toronto than in Edmonton, I’d say Edmonton in the summer is not boring at all. But there are more festivals and more to do in Toronto which makes the city a fun place to be the whole summer. Running out of fun things in Edmonton? Drive out-of-town for a picnic or camping with friends or relatives. There are many such recreation areas within 3 hours drive of Edmonton. But, again, picnic and outdoor recreational activities in Toronto have more choices than the former. Within 3 hours drive North, South, East and West of the city reveals the reason why I prefer to spend more time in Ontario in the summer. Ontario Parks and sceneries, I think, is one of the best in Canada. Let’s talk about winter happenings. In both Edmonton and Toronto, winter is the most boring season of the year. So, to get my mind off what I call winter-blues, I took up a winter sport – ice skating. The whole Canada is a winter playground, so I suggest to get busy with a winter activity to make the winter season go quicker. Tobboganning, skiing, snowboarding, etc. are just some of Canada’s favorite. In Edmonton, there are plenty of casinos inside the city. So, many old folks and casino lovers frequent them come winter time or even other season of the year. Bars and clubs in Toronto are all over the city, the best ones are scattered along the stretch of Yonge and Queen streets. That is quite a long stretch if you are going to see in person. In Edmonton, the best bar I’ve been to is the Red Piano inside West Edmonton Mall. There are others beside it, too. There is also another area where bar-hoppers frequent, Whyte Avenue. This is my favorite area when we go bar-hopping. For me, because I was fortunate to make inroads and connections in both cities – I would say I live in the best of both worlds. I fly between Edmonton and Toronto from time to time to stay with family and also to look after some business. I can’t say that one is better than the other because when you have family and have made friends in a place, I’m sure you will feel home wherever it may be. Whenever I’m in Canada, I’d either be living in Toronto and then other months, in Edmonton. Otherwise, if I’m feeling the winter blues – I’d fly right away to my favorite tropical destination. If anyone have any other suggestion about what to discuss that I probably missed, you may leave your suggestion at the comment below and I will write about it in the coming posts. « Where Is It Best To Live In Canada?